PathFinder is designed to gather information from diverse databases throughout a telecommuncations company and offers software and engineering intelligence to create value driven views, reports, and suggestions helping traffic engineers manage their network. This functionality centers around three main processes. The first process is gathering data from the different sources. The second is constructing a network simulation from the gathered data. The third major function of PathFinder is to allow network engineers to establish rules for what the network should look like. Finally, the fourth major function compares the constructed network simulation with the established rules for how the network should be routing in order to show a differential between the actual and the ideal. The optimization module is used to indicate the new PSTN connections needed to reduce long distance and IMT costs and optimizes IMT links to save money and reduce switch ports. 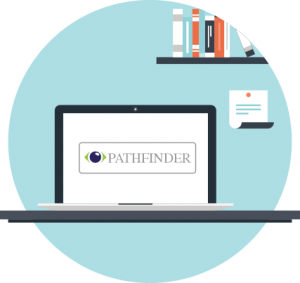 PathFinder allows the user to compare the actual results from the discovered network model and the optimal model established by defining the networks internal routes and connections and PSTN routes and rule sets. Because PathFinder includes the rates for each connection type, each change is accompanied by the estimated cost savings a carrier can expect to obtain through each change. The result is that the traffic engineers can concentrate on the changes that will save the most money. Changes that simply keep the network to standard or simply comply with inter-carrier accords can be implemented when time permits.